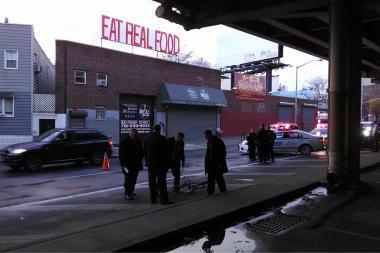 A 32-year-old cyclist was killed when a vehicle struck him under the BQE, police said. WILLIAMSBURG — A bicyclist was killed early Monday when a vehicle crashed into him under the Brooklyn Queens Expressway before fleeing the scene, police said. The 32-year-old, whose identity was not immediately released, riding on Meeker Avenue when a vehicle hit him near Frost Street about 4:30 a.m., the NYPD said. He suffered serious head trauma and was rushed to Bellevue hospital where he was pronounced dead, police said.